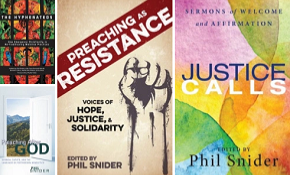 On these pages you’ll encounter Christian leaders who are passionate about LGBTQ justice and equality–not in spite of their faith but precisely because of it. These sermons are a must-read not only for LGBTQ persons longing to know they don’t have to deny their faith in order to embrace their sexuality and/or gender identity, but also for those who wonder if they have to disregard the Bible in order to fully accept their LGBTQ neighbors, friends, and family members. It also serves as a valuable resource for pastors and church leaders who are looking for ways to teach, preach, and celebrate the full affirmation of LGBTQ persons in the light of God’s love. Contributors include Rita Nakashima Brock, Monica A. Coleman, Danny Cortez, Miguel De La Torre, and many others committed to the full welcome and affirmation of LGBTQ persons in the life of the church.